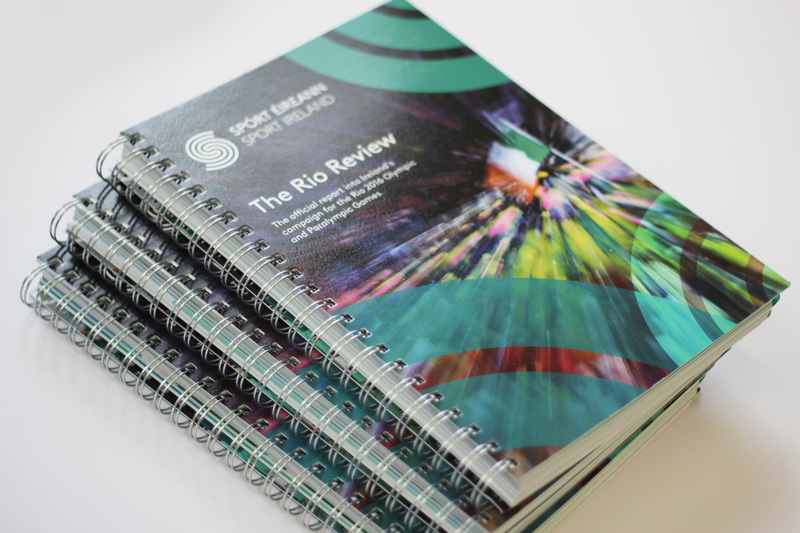 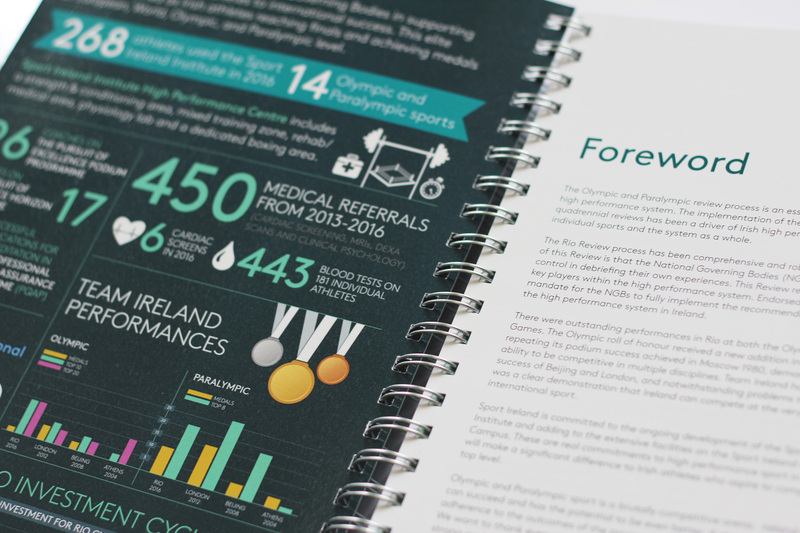 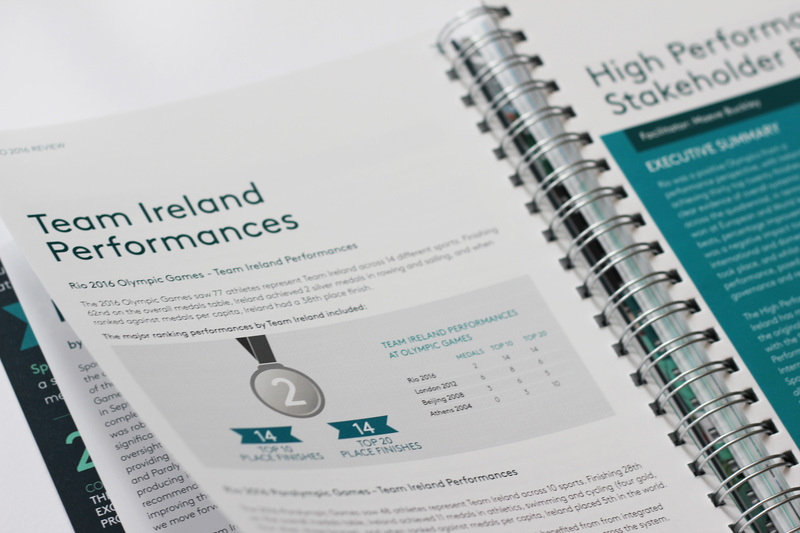 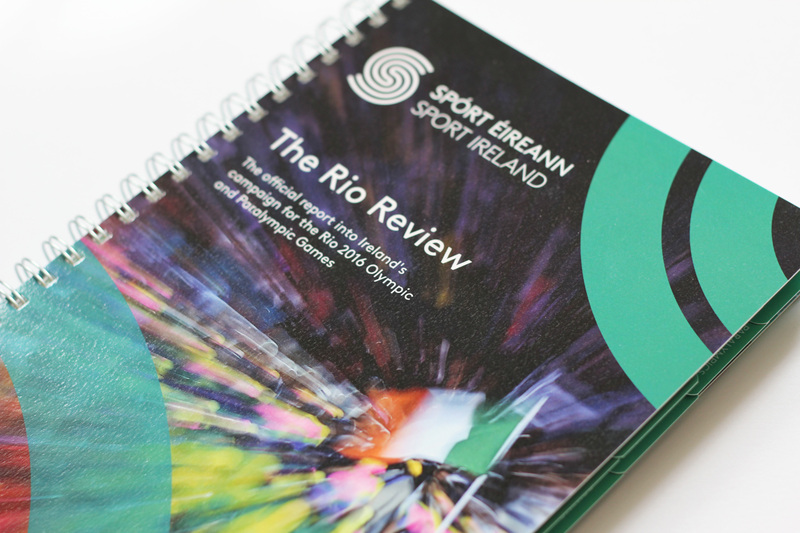 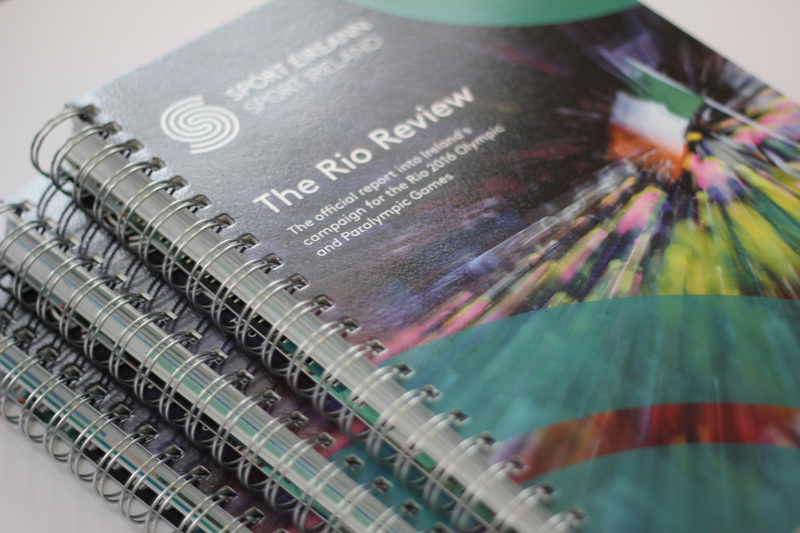 300 page report published by Sport Ireland following the Rio Olympics 2016. 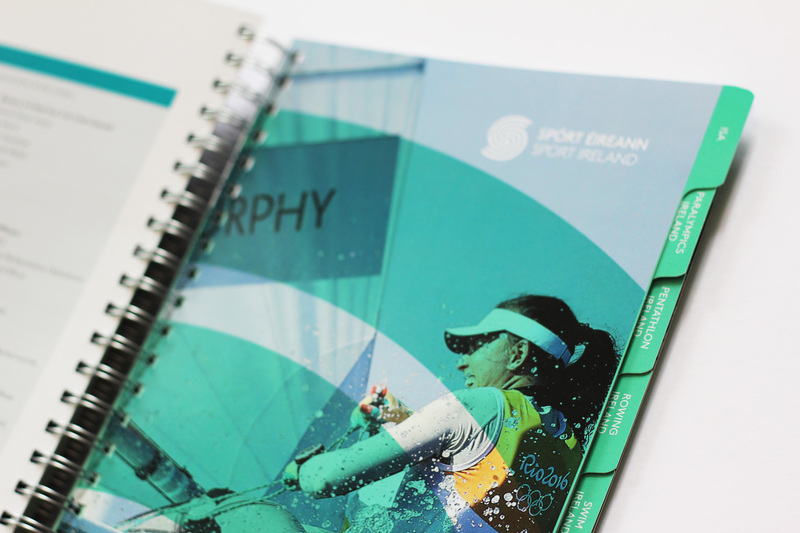 Tabbed sections for each participating sport and wiro bound with a super heavy gloss laminated cover. 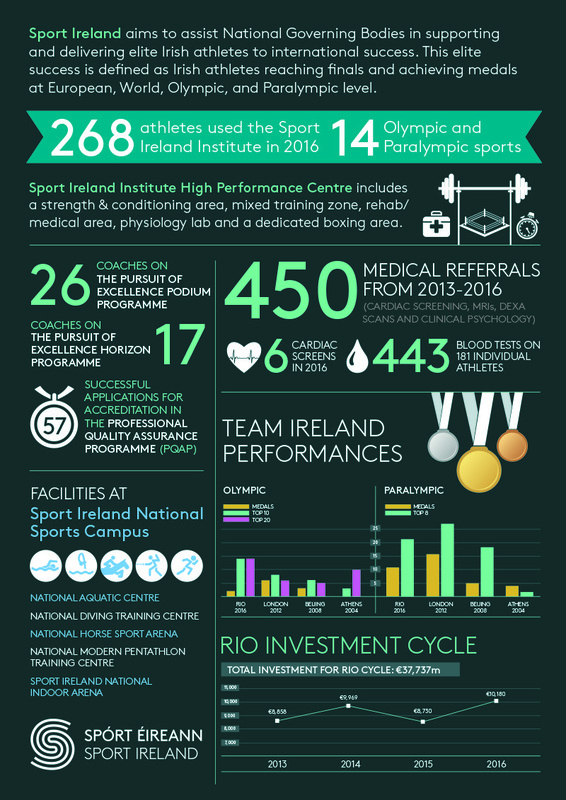 Resonate also designed an infographic to accompany the report.